If you’ve ever had to buy surgical lights for your operating room, you’re already aware of the major differences between the number of OR light manufacturers. We will try our best to cover off the more common problems that we’ve seen over the last several decades, and please keep in mind that some problems may be specific to brands or models, while others are not. 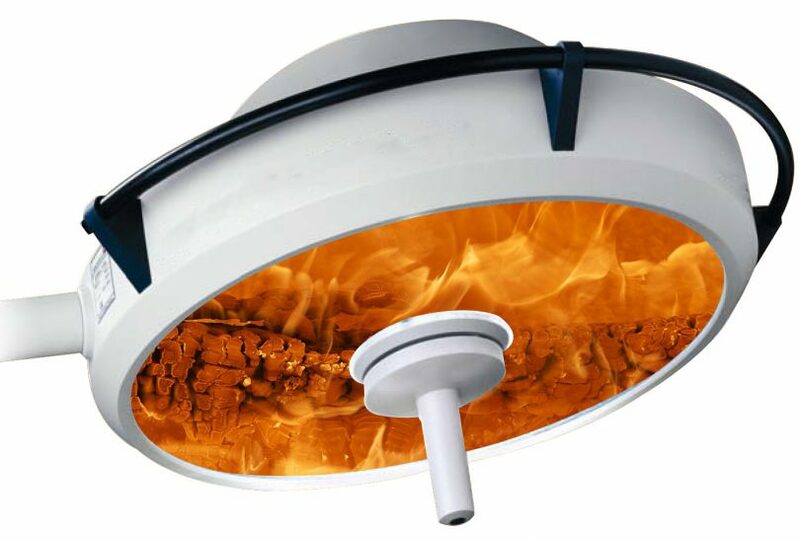 With the advent of LED technology, heat is no longer an issue. However, many operating rooms in Canada still use halogen OR lights. Halogen lights are normally rated for 1,000 to 3,000 hours, while LEDs are rated for 25,000 to 40,000 hours. Many times (enough to be mentioned in this article), we’ve seen hospitals purchase OR lights without any feedback or input from the people who actually use them. Meditek is a Canadian supplier of operating room equipment since 1981. With a national reach, Meditek has several services designed to help you save money and prevent problems. We also are the exclusive distributor of Skytron lights to the Western Canada region. Have a question about surgical lights that you don’t see here? Ask our experts. Looking at a possible replacement of our Incandescent OR back lighting. The main overheat troffer’s, not task/boom lighting. We have an issue with slight pulsing and/or flicker. We have gone through everything we can think from the power supply/feed to replacement of the bulb and drivers. After new bulbs, we are good for a few months but then the issue is back. Its slight, but noticeable and needs prevented. I am dig into the quality of the fixture we currently have installed. I may be considering entire new, LED, RFI/EMI and UL compliant fixtures. Have you ever seen/heard of the issue I have presented? Thank you for your enquiry, much appreciated. Great detail you have provided, I will have someone reach out to you to discuss some solutions.